It's Spring Break week here, so today I'm featuring a couple of Beach Happy cards to make me forget about the snow that is lingering on the ground here in Fort Wayne, Indiana. But first...I've got some Very Exciting News to share! Whether you have an entire room or a small corner in your home for stamping, this new lineup of modular storage solutions lets you organize—and customize—your space your way! Storage by Stampin’ Up! 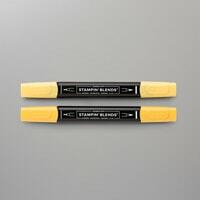 is designed to store and showcase your Stampin’ Pads, Stampin’ Ink Refills, Stampin’ Blends, Stampin’ Write Markers, Watercolor Pencils, and other accessories. 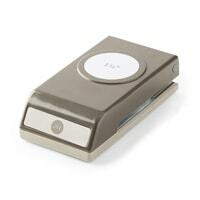 Keeps products organized, tidy, visible and trackable at all times. 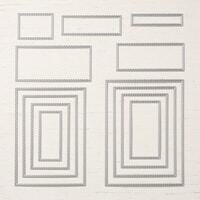 Ink Pad & Marker Storage Trays—(149168) Set of 5 white plastic trays. Each tray stores one ink pad and one Stampin' Write Marker. Stack several trays together or combine with other storage products. Each tray is 5" x 5" x 7/8". 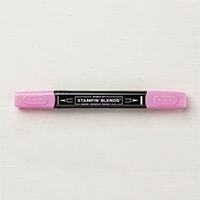 Stampin' Blends Marker Storage Trays—(149169) Set of 5 white plastic trays. 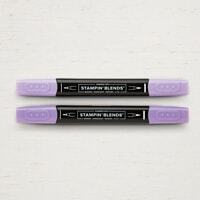 Each tray stores six Stampin' Blends Markers. Stack several trays together or combine with other storage products. Each tray is 5" x 5" x 7/8". Open Storage Cube—(149171) One white plastic cube with an open top. 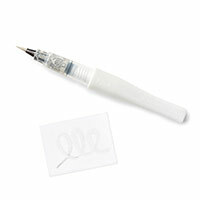 Perfect for holding embellishments, adhesive, ribbon and more. 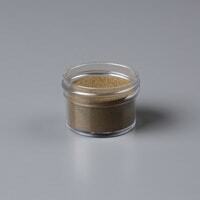 Combine with other storage products. Each tray is 5" x 5" x 4-1/16". Storage Topper—(149170) One white plastic topper holds up to 20 Stampin' Ink Refills or other small items. 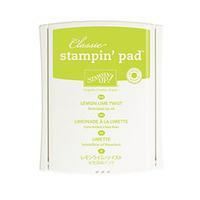 Topper fits on top of the Ink Pad & Marker Storage Trays, Stampin' Blends Storage Trays or Open Storage Cubes. Each topper is 5" x 5" x 1-1/4". Storage Lid—(149167) One white plastic top lid covers the Ink Pad & Marker Storage Trays, Stampin' Blends Storage Trays or Open Storage Cubes. Each lid is 5" x 5" x 3/8". I love the rich Coastal Cabana colors of this beach card! It surely makes me happy...what about you? 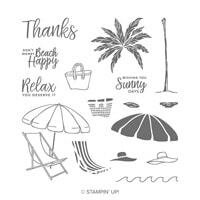 Run 3-1/2” x 4” piece of Coastal Cabana cardstock through the Big Shot with the Seaside Embossing Folder. Wrap Bermuda Bay Mini Striped Ribbon around embossed Coastal Cabana cardstock and secure to the back side with SNAIL Adhesive. Adhere to the Whisper White Thick card base. 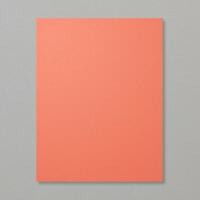 Attach 3-1/2” x 3-1/2” Calypso Coral Cardstock to card base with SNAIL Adhesive. 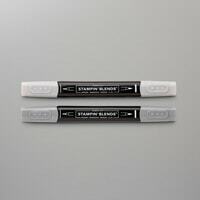 For the “water,” use Aqua Painter to pick up ink from the lid of the Coastal Cabana ink pad and “paint” the ink in a horizontal wash over the bottom half of the 3-1/4” x 3-1/4” Coastal cabana piece. Let dry completely. Use Wink of Stella over the water to make it shimmer. Tear about ¼” off the top edge of a 3-1/4” x 3-1/4” piece of Crumb Cake cardstock and attach to the lower edge of the Coastal Cabana cardstock for the sand. Stamp the beach chair and umbrella again on scrap Whisper White cardstock with memento Ink. Stamp the chair seat in Coastal Cabana ink so that it fits within the legs of the chair. Color the umbrella with light and dark Bermuda Bay and Calypso Coral Stampin’ Blends. 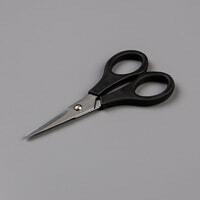 With Paper Snips, cut closely around the edges of the chair seat and attach to the chair with SNAIL. Cut the umbrella out leaving a small border around the edges and attach it over the first umbrella image with Stampin’ Dimensionals. Color in the chair legs and sides with Crumb Cake Stampin’ Blend. Stamp sentiment in Memento Ink over the water and attach this piece to the card with Stampin’ Dimensionals. Here's a pretty beach scene created with a quick watercolor wash technique. The copper palm trees are the real stand-out! Stamp the Beach Happy trees onto a 5-1/2” x 4” piece of Watercolor paper using Versamark ink. *Note that the bottom can be bent in different direction when placing on your clear block. Sprinkle with Copper Embossing Powder and heat set with the Heat Tool. 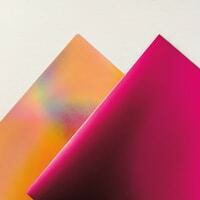 Using the aqua painter, brush a light layer of water on the embossed watercolor paper. Let dry and die-cut with the 5-1/8 x 3¾ Rectangle Stitched Framelits. Adhere onto the Costal Cabana card stock then into the card base. 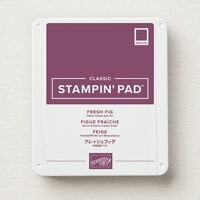 Stamp the greeting using Costal Cabana ink onto the 1” circle of watercolor paper. 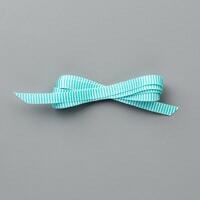 Punch the 1/8 circle at the top of the circle and tie a little bow with Linen Thread. Adhere onto the card front using a Glue Dot. Let Me Know What You Think About The NEW Storage? Two Cool NEW Reasons To Sale-a-Brate In March! I've been talking about it for weeks and now it's finally here! The March Sale-a-Bration Coordination limited-time products are now available for purchase! As the name suggests, all of these items coordinate with products that you can earn during Sale-a-Bration! I have all of the details below! Plus, Stampin' Up! has just announced a Sale-a-Bration 3rd Release of products which can be earned for FREE with a $50 purchase through the end of March! Wow! I'm loving all of the selections! Let's take a look at all of the fun new products & selections as we continue to Sale-a-Bration thru March 31! Also, don't miss my March Thank You Gift Host Code announced at the bottom of this post! Do You Love Coordinating Products? Only available during Sale-a-Bration thru March 31! Sale-a-Bration Coordination—Enhance the versatility of your favorite Sale-a-Bration items with a NEW select of coordinating items you can purchase for a limited time thru March 31, 2019! Available while supplies last. 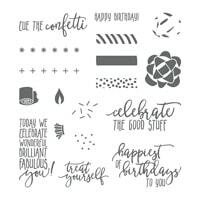 More Than Words—(150069, $17) Photopolymer stamp set with phrases that coordinate with three Sale-a-Bration stamp sets: Hello Cupcake, So Hoppy Together & Part of My Story. Story Label Punch—(150076, $18) A large decorative label shape that is designed to coordinate with the phrases from the Part of My Story Sale-a-Bration stamp set and versatile enough to use with all kinds of sentiments. This is a must-have! Lily Framelits Dies—(150071, $27) Coordinates with the beautiful Lasting Lily Sale-a-Bration set. Not only does it include framelits for all of the lilies, leaves and stems images, it also you two pretty layering labels shapes for the sentiments. 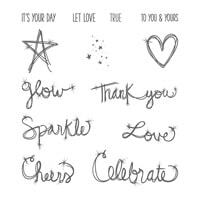 Call Me Cupcake Framelits Dies—(150072, $27) Coordinates with the Sale-a-Bration Hello Cupcake stamp set. Includes dies to cut each images from the stamp set, plus you get dies for additional shapes like a cake dome and little signs that stick on the top of the cupcake. Adorable! Hop Around Framelits—(150073, $17) Coordinates with the Sale-a-Bration So Hoppy Together stamp set. 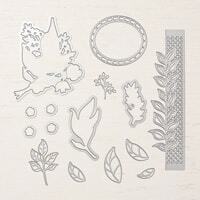 Includes framelits for all stamp set images, plus a lilypad and flowers for the lilypad. Super-cute! 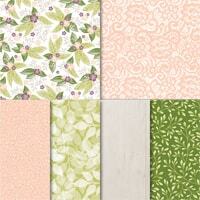 Four Seasons Framelits—(150074, $28) Coordinates with the 2nd Release Sale-a-Bration Painted Seasons Bundle. 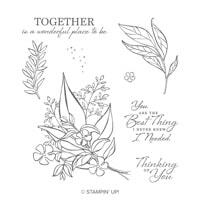 It includes dies for all of the stamp set shapes, with doubles of the larger leaves and triples of the smaller leaf, so make a collage is much quicker! Awesome! Now There's Even More Sale-a-Bration FREE Selections! 8 More FREE Selections Just Added! 3rd Release Sale-a-Bration Selections—Just in case you have already earned everything you wanted out of the original Sale-a-Bration Flyer and the 2nd Release Sale-a-Bration Flyer, Stampin' Up! has thrown a few more items into the mix! You can earn any of these products with a $50 order now thru March 31, 2019! Available while supplies last. Please note: You must use the special Sale-a-Bration item number to select these as FREE items, since most are already current products. The number in the catalog will allow you to purchase them, rather than earn them. Painted Seasons Designer Series Paper—(149574) Now available individually, without being part of the bundle! 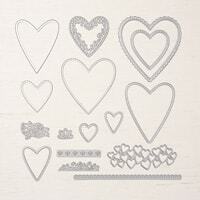 Share What You Love Embellishment Kit—(152832) Charming embellishments and trinkets kit. Mini Pizza Boxes—(152836) 8 food-safe boxes. 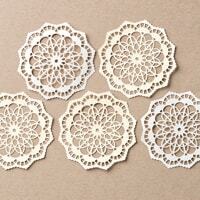 Pearlized Doilies x 2—(152837) Two packages of 24 pearl-finished doilies—48 total! 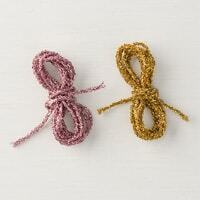 Rich Razzleberry 1/4" Velvet Ribbon x 2—(152838) Two 10-yard spools—20 yards in all! 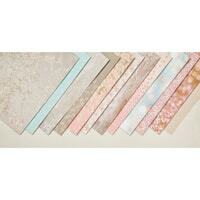 Petal Promenade Designer Series Paper—(152839) 12 sheets of 12x12" DSP. 2 each 6 double-sided designs. 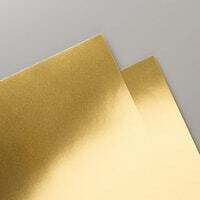 Delightfully Detailed Laser-Cut Specialty Paper—(152840) 8 sheets of 12x12" DSP. 4 each of 2 designs. March Thank You Gift Host Code! If you've earned the awesome Painted Seasons Bundle during Sale-a-Bration, you'll love these FREE Project Sheets to jump-start your creativity! All 15 card ideas were created by top US demonstrators and include a full-color photo, step-by-step instructions, measurements and supplies list. Once you place a minimum $50 order at my Online Store, I will email you the Project Sheets PDF within 48 hours. Orders must use the Host Code 46JWZSHC applied on the shopping cart page. If you have a $150 or more order, do not use the Host Code...I will send your PDF automatically. See complete details. What Do You Think of the NEW Coodinating Items? We're just 2 Days away from Sale-a-Bration! All of the fun begins January 3 and runs thru March 31, 2019! Today, I'm sharing a pair of cards from the elegant Floral Romance suite. You can earn the pretty little Frosted Flowers Embellishments from the suite when you place an order using my January Host Code. Year-End Closeout Ends January 2! The Floral Romance suite from the 2019 Occasions Catalog has a beautiful collection of floral images and pretty colors and textures! It's designed for those extra-special occasions like weddings and anniversaries, and it's perfect for gorgeous birthday, thinking of you and sympathy cards! You'll love the soft elegance! I created a couple of wedding/anniversary cards in a non-traditional, bold color combination. Background Basics—I started by stamping one of the large leaves images from the Wonderful Romance stamp set in Mossy Meadow ink along the left side of a Mossy Meadow card base. This stamp set is one of the brand new CLING mount stamp sets! What is Cling? Well, let me tell you...you are going to LOVE it! 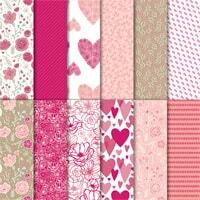 NEW Cling Stamps—You will LOVE the brand new "Cling" style of stamps! Starting with the Occasions Catalog, all stamps will be either the "see-thru" photopolymer or the red rubber "cling" style. 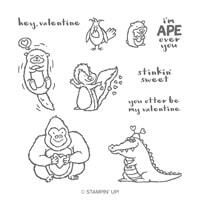 Cling stamps are a new & improved version of the clear-mount stamp that has super-tacky sticker, so they will not fall off the acrylic block. 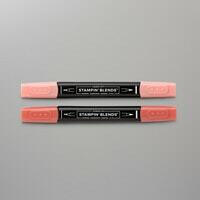 No more worrying about the inked stamp falling off the block right when you're trying to stamp with it. Stampin' Up! has completely solved that problem! Woohoo! 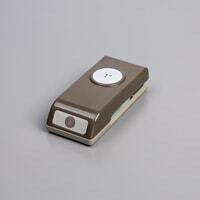 Also, beginning with the Occasions Catalog, there will be no more new wood-mount rubber stamps created. I'll have more details about this new stamp style as they become available! Pretty Papers—Next, I layered some of the lovely printed vellum from the Floral Romance Specialty Designer Series Paper onto Whisper White cardstock to make it pop! That vellum is so stunning! I adhered the 3" x 4" vellum to a 3-1/2" x 4-1/2" Whisper White layer with SNAIL on the center only...right under where the sentiment will be, so it did not show through the vellum. I mounted the layers to the card front with Dimensionals, but I would recommend using SNAIL adhesive if you're going to mail this card. Sweet Sentiment—I created a foundation for the sentiment by die-cutting a Petal Pink oval using the coordinating Wonderful Floral Framelits. I popped up the oval with Dimensionals. Then, I stamped the Wonderful Romance sentiment in Fresh Fig ink onto a 4" x 3/4" strip of Whisper White, then trimmed the ends into fishtails and attached to the oval with SNAIL. Finishing Touches—I tied a bow with the Petal Pink/Whisper White 5/8" Variegated Ribbon and attached it to the bottom of the oval with a Glue Dot. 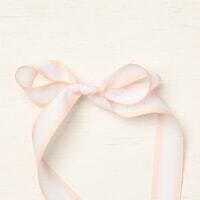 This ribbon is very flexible, sheer and easy to tie...perfect for a pretty finish! Inside The Card—I stamped the same Wonderful Romance leaves in Mossy Meadow on the inside, along with some Petal Pink flowers. I also added a coordinating sentiment in Fresh Fig. It's the perfect sentiment for an anniversary card for your spouse! Two Cool—The second card begins with a Fresh Fig card base and most of the elements are the same with just a few changes. Terrific Texture—One thing I changed was to add a 5-1/2" x 2-1/4" Fresh Fig panel, embossed with the Lace Dynamic Texture Impressions Folder, to the bottom of the horizontal card. 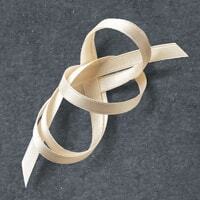 I also wrapped the ribbon around the vellum layers and tied them into a knot, rather than adding a bow. Sweet Sentiment—Finally, I stamped the sentiment in Mossy Meadow this time to contrast the Fresh Fig card base. Bundle It & SAVE—Purchase the Wonderful Romance stamp set & Wonderful Floral Framelits Dies together in a Bundle to save 10% off the cost of purchasing them separately. Will You Be Celebrating A Special Occasion Soon? You're Invited To The Ultimate Kickoff Party! 2019 Sale-A-Bration & Occasions Kickoff Party Details! 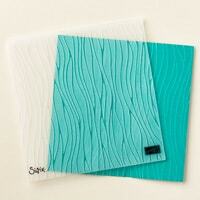 Try NEW Designer Papers At A Budget-Friendly Price! 6x6" Sheets! 94 Sheets In All! Only $26.50! Would You Like To Receive These Catalogs? I just received my Occasions Catalog and Sale-a-Bration flyer in the mail a couple of days ago...have you gotten yours? If you are a current customer of mine, you should be receiving your copies in your mailbox any day now! If you would like a copy of the catalogs, and you do not already have a relationship with another demonstrator, I would be happy to send them to you! Simply contact me. What Is Sale-a-Bration? It's All About FREE Goodies! FREE Products When You Shop—For every $50 you spend, select a FREE item from the 2019 Sale-a-Bration Flyer! There are also a couple of Level 2 items that you can select for FREE with a $100 order. FREE Products When You Host—Host a workshop with $250 in sales or place a $250 order and you'll earn $25 MORE in Stampin' Rewards. That's in addition to the 10% Stampin' Rewards you would already receive at that level! See Stampin' Rewards info. FREE Products With Starter Kit—When you purchase a $99 Starter Kit during Sale-a-Bration, you'll select up to $175 worth of product of your choice! WOW! That's $50 more than any other time of the year! Plus, NEW this year...order the $129 Starter Kit option and receive $175 in products of your choice AND a cool new Craft & Carry Tote! Check it out! 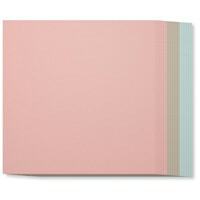 Get Your Occasions Catalog Shopping Lists Ready! It All Starts In 2 MORE DAYS! Introducing The Snowflake Showcase Limited-Time Suite! I'm so excited to share a brand new and AWESOME suite of wintery products today! Stampin' Up! has released the Snowflake Showcase suite as an exclusive, limited-time collection of 5 products. If you love snowflakes, you are going to LOVE these NEW products! They're available thru November 30 only, and only while supplies last! Today, I'll be taking a closer look at this new suite and sharing a few project ideas. Find out below how you can earn up to 30 FREE Project Sheets when you order the stamp sets from this limited-time collection! Available Thru November 30 or While Supplies Last! Let it snow! Or at least, create a snowy wonderland using this incredible assortment of products. Stampin' Up! is offering an amazing suite of products that capture the chill and thrill of the winter holiday! 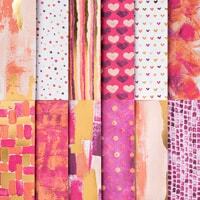 With two stamp sets, paper, accessories, and dies, the only limit is your creativity! Shop Now For Snowflake Showcase Products! Receive 30 FREE Snowflake Showcase Project Tutorials! 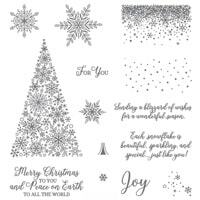 When you purchase either the Snow Is Glistening or Happiness Surrounds stamp sets from the Snowflake Showcase, I'll send you a Collection of 15 Project Sheets that feature that stamp set to jump-start your creativity! Purchase both the Snow Is Glistening AND Happiness Surrounds stamp sets and you'll receive BOTH tutorials! I'll email out the PDFs within 48 hours of placing your order. 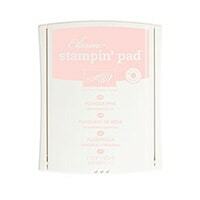 Orders must be placed through my Online Store at www.TooCool.StampinUp.net, or by selecting Angie Leach as your demonstrator when you order through the www.StampinUp.com website. Snow Is Glistening Stamp Set—149742 photopolymer. 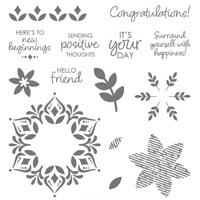 Happiness Surrounds Stamp Set—149744 photopolymer. 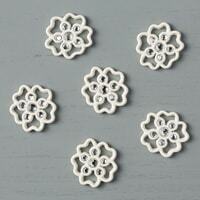 Snowflake Trinkets—149620, 20 pieces with rhinestone center, 3/4" diameter. White Velveteen Paper—149619. 2 sheets, 12x12". Check out the Snowflake Showcase Products in Action! Watch video here. You can see the projects featured in the video in a little more detail below! Snow Is Glistening Joy Tree Card—The 4" x 5-1/4" Watercolor Paper background is stamped with Snow Is Glistening dots in Pool Party ink, then an Aqua Painter was used over the top to create a soft color wash. The tree was stamped in Pear Pizzazz onto Pear Pizzazz cardstock, then trimmed out by hand and popped up with Dimensionals. The Soft Suede tree trunk was also cut out and popped up. The sentiment was embossed with white onto Basic Gray cardstock, then die-cut with the Stitched Shapes Framelits. The card is finished with some Snowfall Thinlits White Velveteen Paper snowflakes, Rhinestone Jewels and a Snowflake Trinket. Snowfall Blizzard of Snowflakes Card—The sensational die-cuts from the Snowfall Thinlits are featured on this card! The snowflakes were cut from a combination of Balmy Blue cardstock and Silver Glimmer Paper. 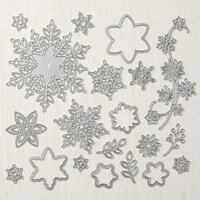 I love the swoosh of snowflake flurries in the snowflake florish die-cut! Add a silver embossed greeting, some White Baker's Twine, some Gray Granite Texture Weave Ribbon and Rhinestones for a beautiful blizzard of wishes! Snowfall Merry Christmas Card—Oooh! The large snowflake is die-cut with the Snowfall Thinlits from the White Velveteen Paper for a soft, flocked velvet texture. The smaller snowflake is embossed in gold and the sentiment is embossed in white. Love these pretty layers with some soft Call Me Clover stamping and sponging peeking from underneath. The White Polka Dot Tulle Ribon adds a lovely texture at the bottom, too. 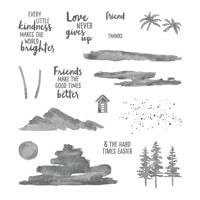 Happiness Surrounds Hello Friend Card—The Happiness Surrounds stamp set coordinates beautifully with the Snow Is Glistening stamp set, but it is versatile enough to help you with projects all year round! The graphic elements, leaves and flower images and die-cuts combine here for a sweet hello friend card. I love how the flower can double as a snowflake layer depending on the season! Other items used on this card include Adhesive Back Sequins, Petal Pink Silver Baker's Twine and Stitched Shapes Framelits for the circle background. Congratulations Floral Medallions Card—Again, you can see the awesome versatility of the medallion layers on this Happiness Surrounds card. The medallion was stamped on Wood Textures Designer Series Paper, and the stamped elements were die-cut with the Snowfall Thinlits! So, so pretty for any time of year! Let Me Know What You Think of The Snowflake Showcase! 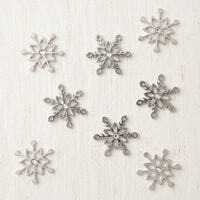 Create 12 wintery snowflake-themed cards with the Beautiful Blizzard stamp set. 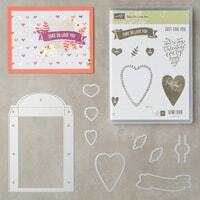 Kit includes stamp set, bonus products, pre-cut card supplies, envelopes, instructions PDF and video tutorial link. Thinlit Add-On option available! I'm so happy that March is here! Spring is right around the corner...yay! We have one more month of the best promotion of the year—Sale-a-Bration! It's your last month to earn FREE Level 1 & Level 2 Sale-a-Bration products for your $50 or $100 orders. It's your last month to host a workshop and earn an extra $25 in Stampin' Rewards for your $250 workshop. And, it's the final month to take advantage of that AMAZING $99 Starter Kit Deal and select 2 FREE additional stamp sets of your choice! Get all the details on my March Specials Page. 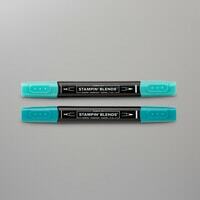 March Host Code Thank You Gift—Place a minimum $50 order at my Online Store in the month of March using the Host Code 9MCXSTK7 and I'll send you a package of the Myths & Magic Washi Tape as a little thank you gift! Designed to coordinate with the mythical creatures in the Myths & Magic suite of products, this sparkly glitter tape is versatile enough to use with many other stamp sets to create birthday and special occasion cards! This is an exclusive Too Cool Stamping offer that lasts through March 31, 2018. You can never have enough birthday cards, so I'm adoring the fun Picture Perfect Birthday stamp set! It's filled with fun sentiments and lots of two-step elements that combine to create birthday candles, party horns and gift bows! And, they coordinate so well with the cute images on the Picture Perfect Party Designer Series Paper! 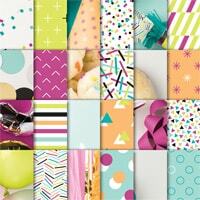 PIcture Perfect Party DSP—This 6x6" pack of paper is so versatile! There are 48 sheets, including 4 each of 12 different double-sided sheets. One side has cool, realistic photograph imagery of birthday items like balloons, bows & party horns, while the other side has fun birthday patterns with confetti and stripes themes. The colors are bright, cheery and fun, too! 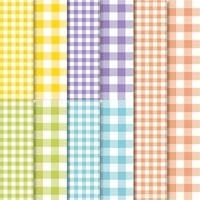 Background Basics—I selected four different Picture Perfect Party DSP patterns to create the panel backgrounds. Each style was cut to a 1" x 3-1/2" strip, then adhered to a 4-1/2" x 3-3/4" layer of Basic Black cardstock. It's mounted onto a Lemon Lime Twist card base. Sentiment Oval—I stamped a Picture Perfect Birthday sentiment in Memento Tuxedo Black ink onto the right side of a Whisper White Stitched Shapes oval. Next, I stamped the solid rectangle stamp from Picture Perfect Birthday in Pool Party and Lemon Lime Twist to create the candles. I stamped the stripes image over the top of the one candle in Bermuda Bay, then topped both candles with a Crushed Curry colored flame. I finished by stamping the confetti image three times around the greeting in Berry Burst ink. Finishing Touches—I mounted a 4-1/4" x 1-1/4" Berry Burst banner onto the card front, then popped up the greeting with Dimensionals. Then, I added a few Tutti-Frutti Sequins around the sentiment for more confetti fun! Two Cool—I used all the same Picture Perfect Party DSP patterns on the second card, I just changed up the card base to Bermuda Bay cardstock. Amazing Accents—This time, I stamped a different Picture Perfect Birthday greeting and added a party horn image. The horn is created with several elements. The curled up end was stamped first in Lemon Lime Twist, then the fringe was stamped on the top with Crushed Curry. I used the same rectangular image that I used for the candles for the base of the horn in Pool Party ink, then added stripes in Bermuda Bay. How fun! The rest of the sequins and confetti images are the same. Earn FREE Sale-a-Bration Items With Your Order! Select a Level 1 Sale-a-Bration item with a $50 order and a Level 2 Sale-a-Bration item with your $100 order thru March 31, 2018. See the original Sale-a-Bration flyer or the 2nd Release Sale-a-Bration Flyer PDF for details. Happy February! It's a new month, which means that we have a brand new Thank You Gift for my online customers! February Host Code Thank You Gift—Place a minimum $50 order at my Online Store in the month of February using the Host Code H9XPKUB2 and I'll send you a spool of 1/4" Whisper White Organza Ribbon as a little thank you gift! 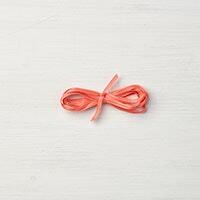 You'll love the soft feel of this gorgeous, easy-to-tie ribbon. It's designed to go with the black & white Petal Passion suite, but you can easily alter the color of the ribbon to complement any project! This is an exclusive Too Cool Stamping offer that lasts through February 28, 2018. Fine Print—This is an exclusive offer from Too Cool Stamping; orders must be placed through Angie Leach at www.TooCool.StampinUp.net. Orders must be a minimum $50 retail price, and the Host Code must be used. Not valid for class fees or workshop orders. Be sure to select "yes" when asked if your demonstrator can contact you, so I know who to send the gift to. Item will be sent separately from your original order in mid-month of the month following your order. Not responsible for any delays due to backorders. The new Perennial Birthday stamp is so adorable! It's designed to be used with the equally lovely Perennial Birthday Project Kit, but the stamp set is amazing on its own! 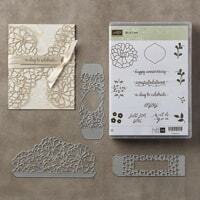 Perennial Birthday Project Kit—I LOVE the delightful Perennial Birthday Project Kit! It includes everything you need to create 4 each of 4 styles of birthday cards, and it comes in a pretty storage box. There are even monthly "perpetual birthday" calendar dividers to help you organize your cards throughout the year! The only thing you have to add is the Perennial Birthday stamp set! I'll have more information on this amazing kit on tomorrow's blog, so stay tuned! 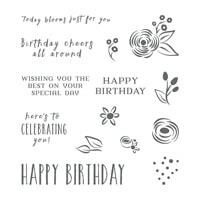 Perennial Birthday Stamp Set—The blooms and bits in the Perennial Birthday stamp set are so sweet, but all of the birthday sentiments are my true favorites! This was a must-have set for my collection, and I've already found myself using it on card after card this season! I know you'll use it a lot, too! Funny...today's Perennial Birthday cards do not even feature the sentiments that I love so much! That's because they are projects from my Kickoff Party and I had already used many of the greetings from this set on other cards from this 20-Card class! I was mixin' & matchin'! 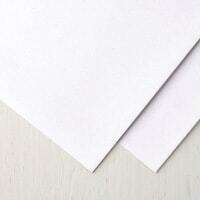 Background Basics—I created a Crumb Cake card base with a vertical fold for this card. I embossed a 4-1/4" x 1-1/2" piece of Pear Pizzazz cardstock with the Pinewood Planks Dynamic Texture Impressions Folder and attached it with a couple strips of Tear & Tape Adhesive and SNAIL for a secure hold. Stamp the larger oval blooms in Sweet Sugarplum ink randomly over the piece. 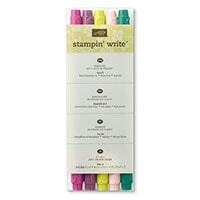 Stamp the leaves in Pear Pizzazz ink on each bloom. Stamp the dotted image between the blooms in Flirty Flamingo ink. 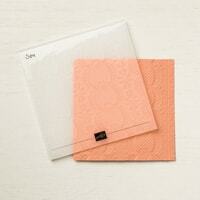 Fill in the blank spaces with the small flowers in Peekaboo Peach ink. After adhering the layer to the card front, I added a 4-1/4" x 1/2" strip of Flirty Flamingo card stock over the seam. 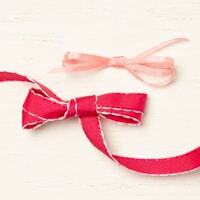 I also tied some pink Love Mini Tinsel Trim around the card front into a double-knot for a little sparkle & shine. Sweet Sentiment—I stamped a greeting from the Watercolor stamp set in Sweet Sugarplum onto Whisper White, then punched it with the 1/1/2" Circle Punch. It's mounted onto a Crumb Cake label punched with the Everyday Label Punch, then popped up with Dimensionals. Two Cool—The second card features the same elements in blues! The strip on the background was changed to Bermuda Bay and I added the gold Love Mini Tinsel this time. I used Island Indigo for the oval flowers, Pear Pizzazz for the leaves, Wisteria Wonder for the dots and Pool Party for the small flowers. I also tried a sentiment from another kit, the Lots of Happy Card Kit, for this version, stamped in Island Indigo ink. Which color combination do you like best? Last Day For Retiring Items & NEW Sure Do Love You Class! OOPS! CORRECTED BLOG POST! Hi stampers! I accidentally posted today's post before it was completed! Dang! Once you email that sucker out...there's no getting it back! <sigh> But, here is the REAL POST for today! Sorry for any confusion! Happy New Year! We start Sale-A-Brating tomorrow with an Occasions Catalog & lots of freebies to earn! Yippeee! I have several announcements as we transition into this new catalog and a new year of stamping! It's your last chance for Holiday Retiring Items, plus we have a new monthly Thank You Gift and a new Stamp-of-the-Month! FINAL DAY To Order Retiring Favorites—January 2! Apply Host Code H9YSFMAB at Shopping Cart. Class-To-Go Kits Mail Out Approx. January 22! Registration Closes On January 15, 2018! My brand new January Stamp-of-the-Month features the NEW Sure Do Love You Valentine's stamp set! It's part of the lovely Painted With Love suite of products and heavily features the beautiful painted patterns of the coordinating Painted With Love Designer Series Paper! We'll me creating both of these cards with the class kit. You can see the complete class details here: Sure Do Love You Stamp-of-the-Month Class Kit. 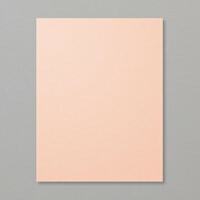 Background Basics—I adhered a 4" x 5-1/4" panel of the Powder Pink/Calypso Coral pattern from the Painted With Love DSP to a Powder Pink card base for the gorgeous background. I LOVE those elegant gold foil accents...and you'll find them on every sheet in this paper pack, along with a pretty, full-color, non-foil print on the back. So many possibilities! Recessed Window—I die-cut a Lots of Love Box Framelit heart shape at the top of a 2-3/4" x 4-1/4" piece of Whisper White card stock to create the window. Next, I stamped the Sure Do Love You leafy heart border around the window. The entire layer is popped up with lots of Dimensionals for a fun recessed window look! 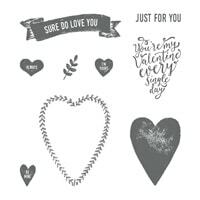 Bundle It & SAVE—Order the Sure Do Love You stamps and Lots To Love Box Framelits together in a bundle to save 10%! Hearts & Accents—I started by adding a Gold Foil heart, die-cut with the Lots To Love Box Framelits to the center of the heart window with Dimensionals. Then, I stamped two of the cute Sure Do Love You conversation hearts in Calypso Coral onto Whisper White, then die-cut them with same framelits and popped them up, too. I finished by adding a 1/8" Calypso Coral Ribbon bow with a Glue Dot. Sweet Sentiment—I finished up by stamping the Sure Do Love You banner sentiment in VersaMark ink onto Powder Pink card stock, then heat-setting it with Gold Embossing Powder until glossy & smooth. 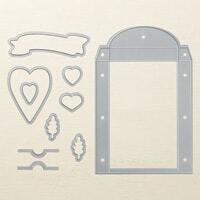 There's a die-cut for that shape in the Lots To Love Box Framelits, too! It's popped up with more Dimensionals. Two Cool—My second version begins with a different pattern from the Painted With Love DSP mounted onto a Rich Razzleberry card base. Happy Hearts—This time, the leafy border is in Melon Mambo, and the other two conversation hearts are in Melon Mambo and Rich Razzleberry. Sweet Sentiment—I stamped the sentiment in Calypso Coral on Whisper White card stock. I love the way the bold color really pops on this one! Save With Bonus Days Coupons, Christmas In July Special & More! 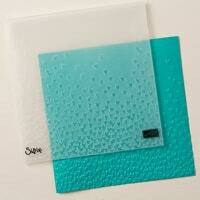 You'll love these mini versions of your favorite "pop up" foam adhesive! 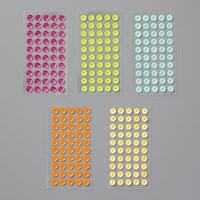 1/4" size, 720 pieces per pack. Exclusive Offer from TooCoolStamping.com. Not valid for class fees or workshop orders. Be sure to select "yes" when asked if your demonstrator can contact you, so I know who placed the order. Earn $5 Coupons For Every $50 Order In July! Redeem Your Bonus Coupons In August! Spend now to save BIG later! You'll receive a $5 coupon for EVERY $50 you spend in July—no limits!. Coupon codes will be sent out by email. Codes can be redeemed in August for any merchandise excluding the Starter Kit and auto-payment Paper Pumpkin subscriptions. Shop My Online Store To Earn Your Coupons! Ho, ho, ho! It's Christmas In July and Santa is bringing the goods! Purchase a $99 Starter Kit during July and you'll receive a FREE Essentials Gift Pack including Paper Snips, SNAIL adhesive, 2 "D" blocks, Grid Paper & a Bone Folder! Whoa! That's a $52 value! PLUS, you'll also receive a FREE Carols of Christmas stamp set from the upcoming Holiday Catalog—a $20 value! What?! That's Too Cool! The Carols of Christmas Stamp set will have some awesome coordinating Thinlits, and it's party of a super-cool Mega Suite of products from the 2017 Holiday Catalog. If you have a big wish list, THIS deal is perfect for you! 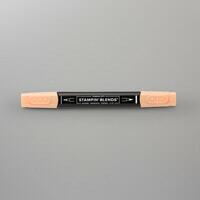 You'll select $125 worth of products of your choice for your $99 Starter Kit, and receive FREE Shipping on those items! PLUS, you'll receive 20% off future orders, be part of my Too Cool Stampers community, and enjoy a ton of other VIP stamper perks! Learn More. Too Cool 2-Day Falling In Love Suite Special! If you're loving the "Falling In Love" suite of products like I am, you won't want to miss my Too Cool Stamping exclusive special—today & tomorrow only! Check it out! Select One FREE Sale-a-Bration Item, Plus One FREE Falling In Love Accent, With Every $50 Order! 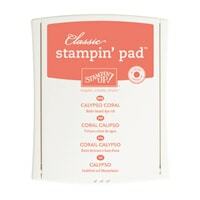 This is an exclusive offer from Too Cool Stamping. Apply Hostess Code at the bottom of the shopping cart page. Place order and I will contact you to get your selection. Do NOT select "do not contact" on your account, or I will not know who placed the order. 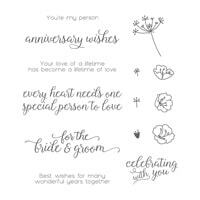 The So In Love stamp set and So Detailed Thinlits can be combined to create truly stunning cards for that very special "Falling In Love" occasion! The above projects are from the Occasions Catalog on page 52 and give you an example of how you can combine this elegant bundle with the the beautiful Very Vanilla Satin Ribbon, Vanilla/White Lace Doilies and the Falling In Love Embellishments. Two-Sided Lace Doilies—Did you know that those intricately cut doilies are Very Vanilla on one side and Whisper White on the other? So very versatile! So In Love Note Card—The belly band element was die-cut with the So Detailed Thinlits, then sponged with Crumb Cake and Pool Party inks. I love how the label in the center is the perfect size for the sentiment! So pretty! Bundle It & SAVE! Purchase the So In Love stamp set and So Detailed Thinlits together as a bundle and save 10% off the price of purchasing them separately! Use Hostess Code 92QZ7M3M for your FREE Accent Gift! 3 NEW Sale-a-Bration Items Now Available! Earn a FREE Sale-a-Bration item with EVERY $50 Order thru March 31, 2017! Place An Order At My Online Store!